I won this sketch card by lilacblues (AKA Mark Bloomer) on Ebay today. For only £5 plus postage, it was a bargain. I really like the colouring here. I’ll post a proper photo when I receive the card. Check him out. I’m sure he’d be open to commission. 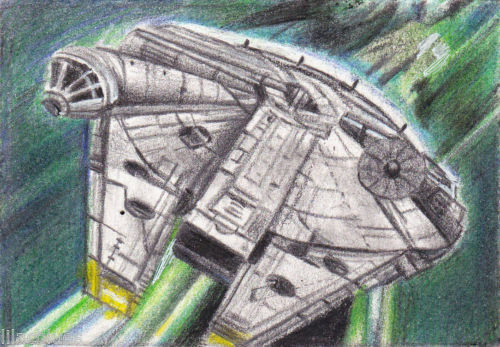 This entry was posted in Art, Things that i don't have yet... and tagged lilacblues, Mark Bloomer, Millenium Falcon, Millennium Falcon, Star Wars. Bookmark the permalink.